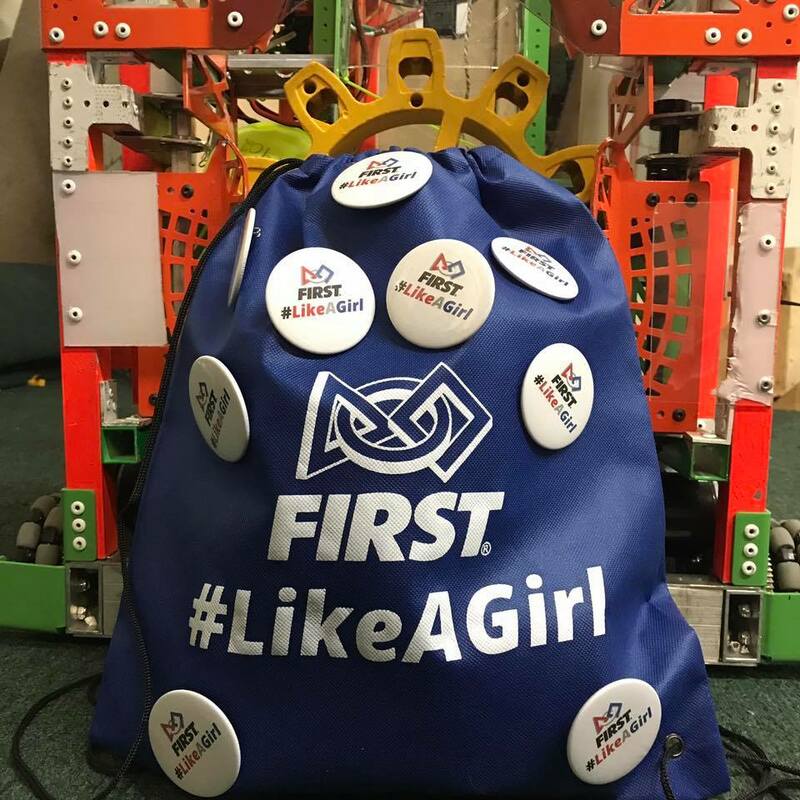 Thank you to the following FIRST teams for helping to distribute #FIRSTLikeAGirl buttons at both champs! It was an amazing experience to work with the so many generous teams to distribute buttons as Champs. From the call for help on social media to the help coordinating behind the scenes. We had more offers than we could accomodate and more demand than we could meet. We are encourage by the response from Women, men, girls and boys: FIRST is a remarkable community that will change the culture of the world.